Before the Supreme Court struck down the federal law last year that prohibits state-sanctioned sports gambling, placing a wager on the Super Bowl meant taking a trip to Las Vegas. The 6-3 decision allowed New Jersey to legalize sports betting, and days later the first bets started at Monmouth Park racetrack. A few states have since joined them—Delaware and Mississippi allowed in-person betting last summer—and numerous other states are in the legislative process as well. Why the rush? There’s a lot of money at stake: a conservative estimate projects the potential industry to bring in $67 billion annually. 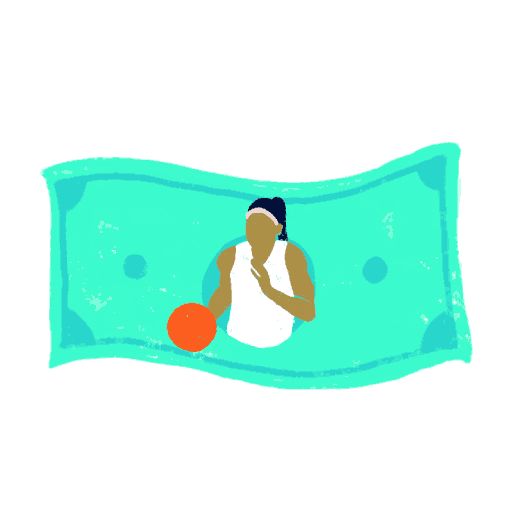 Pioneering sports businesses are now wondering: how can they enter the market to engage fans and create new revenue opportunities while maintaining the integrity of sports? It’s clear that legal sports wagering is going to happen in America, and it will fundamentally change how sports are played, watched, and talked about. At Idean, our experience has proven that designing with empathy is the key to developing the next generation of innovative experiences: by working to understand people, we can craft solutions that put their needs and motivations first. As we’ve started imagining future possibilities, we’ve been inspired by the following trends that are changing what it means to be a sports fan. If the United States wants a glimpse of what’s to come, it only needs to look across the Atlantic. 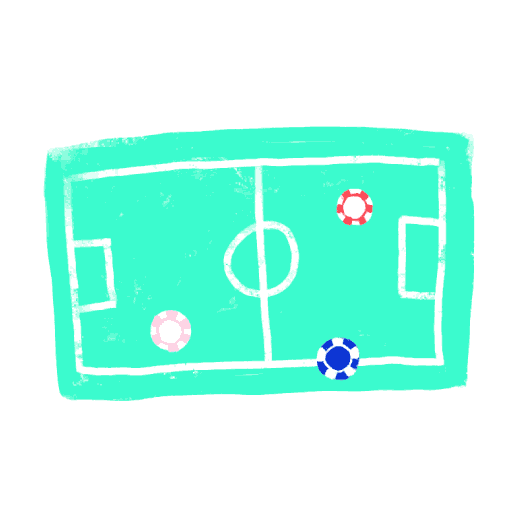 Gambling is ubiquitous across European sports: the logos of gambling entities cover jerseys and kits, and their advertisements often outnumber those for pizza and beer during games. Since the UK has long allowed online betting, the rising prominence of native mobile betting experiences isn’t surprising. Most gambling entities have accompanying apps, with the most engaging ones allowing fans to place bets in real-time and watch matches live. With an enormous amount of data collected from scores to game minutia, “micro” stakes (low stakes betting), and a growing mobile market, the industry’s Gross Gaming Revenue (GGR)—estimated at nearly €7.8bn in 2017—is expected to grow by 6% annually for the next five years. 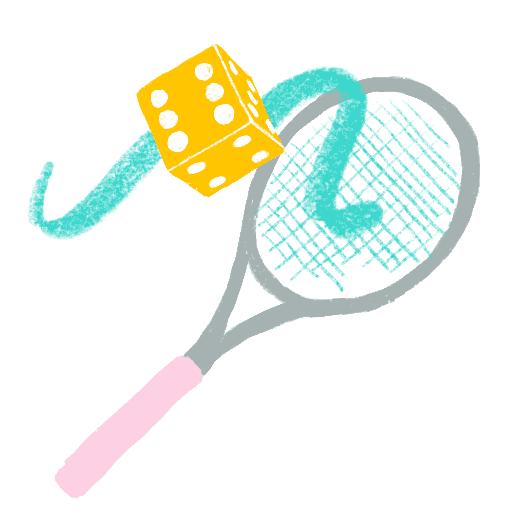 The prevalence of gambling in the EU and the participation of the government have had many wide-reaching effects; the European Gaming and Betting Association (EGBA) has helped enforce and regulate gambling activities, aiming to prevent foul play on the sports level and to help protect the participants. 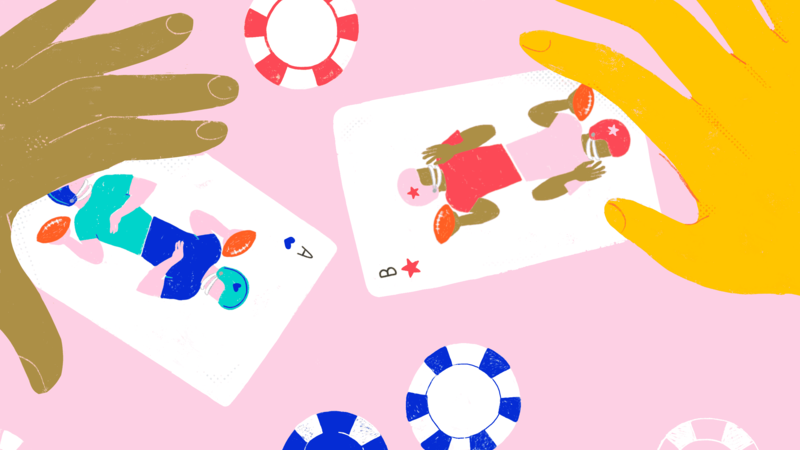 But with legalization comes risk: the UK has seen match-fixing, early exposure of gambling to children (and perhaps unknown consequences to this), along with addiction issues. Fantasy sports began as a low-profile game for sports nerds who wanted to put money behind their knowledge. Participants assembled their teams of real players and watched how they performed over an entire season, accumulating points based on the box scores. As fantasy enthusiasts connected online, it found a larger audience and gained mainstream acceptance. Once media coverage began to include fantasy content, poring over box scores and advanced analytics like VORP or RPM to compare players, didn’t seem so strange. Even fans uninterested in the fantasy aspect were exposed to this content and developed a more nuanced understanding of the real-life games. Proponents believed that because success in Fantasy relied on skill, it should be exempt from sports wagering bans. Daily Fantasy sites, pioneered by DraftKings and FanDuel, embraced this loophole and compressed Fantasy’s season-long competition into a daily contest in which participants assembled teams of real players and vied for a prize pool based on their rosters’ nightly performance. This model worked exceptionally well on mobile platforms, creating an addictive daily habit that allowed the two companies to raise over $1.2 billion from investors. In the wake of the legalization of betting, DraftKings announced their expansion into the market, partnering with traditional casinos to create a digital platform that allows fans to bet on play-by-play action in real time. The sports betting and Daily Fantasy products are currently separate, but it’s not difficult to imagine how the distinction between them might blur. 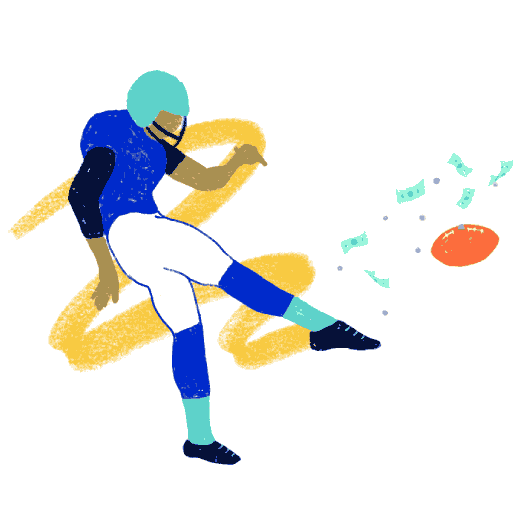 Fantasy introduced ideas that can inform next-generation sports experiences: Fantasy sports deconstruct sporting conventions into new forms, showing that games within the game can be successful. They create frameworks that encourage participation and social interaction, allowing fans to play alongside their friends. Fantasy experiences provide robust data and analytics and have entertainment value beyond insights they give bettors. The best platforms develop asynchronous activities to reward fans for both short-term engagement and year-round commitment to the sport. While the major American sports leagues opposed legalization, the NBA has been at the forefront of the changes. NBA commissioner Adam Silver argued that the league is entitled to a 1% Integrity Fee, a royalty for its additional enforcement costs and permitting the use of its intellectual property. They haven’t been able to make progress through legislation, so the league is beginning to explore authorized experiences, forming a partnership with MGM to provide access to official content and game data. Finding meaningful patterns in the massive amount of data collected each game has led to the need for better machine learning models—especially those that lead to more betting opportunities. Stratagem, a UK-based company, recently acquired by Blockchain, raised a £25 million betting fund to analyze sports in real time with deep neural networks and place bets on the predicted outcome. This arms race doesn’t only give an advantage to bettors. A constant analysis could create a market for hyper-specific, malleable betting opportunities; a system that predicts the outcome of a single possession and offers odds for real-time wagering is just one example. With more data, bettors can have more customization and personalization, including tailored content, pushed to them in real-time and mid-match amendments to bets as new information is available. More data seems to mean, simply, more betting. Blockchain enthusiasts are exploring the technology as a way to decentralize betting, relying on distributed ledgers to develop marketplaces and smart contracts to perform transactions. Augur is an Ethereum-based prediction market protocol anyone can use to establish an outcome that others can bet for or against (at a price determined by the crowd-sourced likelihood of winning). Once the scenario occurs, an impartial observer verifies the results in exchange for a portion of the proceeds, and the smart contract executes. What are the drawbacks? By not having a bookmaker as an intermediary, distributed exchanges will need to grow a large audience to support frequent trading and a large volume of bets. Because the infrastructure is decentralized, a bettor’s first-time setup can be complicated, requiring multiple steps and entities to participate. Prediction markets also need gambling licenses to operate legally in the US, and there isn’t a legal framework yet for authorizing decentralized protocols. However, without a bookmaker creating inequitable conditions for bettors, these platforms have the potential to scale social sports betting while maintaining trust, transparency, and fairness.